Accounts Receivable Aging Reports are useful and important documents that allow companies to gauge the financial health of their customers. It categorizes a company’s accounts receivable according to how long an invoice has been outstanding and provides a certain level of insight into the organization and its customers. They determine if certain customers are not good credit risks. This can help companies decide if they should or should not be doing business with customers that are frequently late paying their invoices. It is useful in determining the amount of bad debt to report on financial statements and how much should be written off. 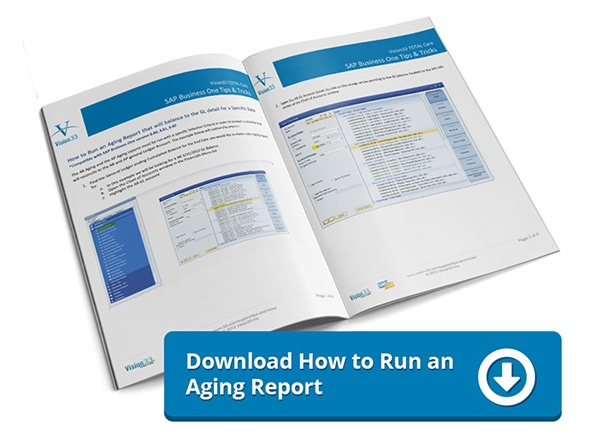 Aging Reports are valuable in establishing better business practices. Companies can use these reports to understand why they are having difficulty collecting on accounts, and how to improve their credit policies. Accounts Receivable Aging Reports in the enterprise resource planning (ERP) solution SAP Business One, provides an analysis of each customer receivable owed to a company. Companies can see customers with zero balance, as well as those customers who are creating risk to your business. It is a critical tool, and a tool that is simple enough to create and analyze. For more information on reporting in SAP Business One, read our Mastering the Art of Reporting - Part One. 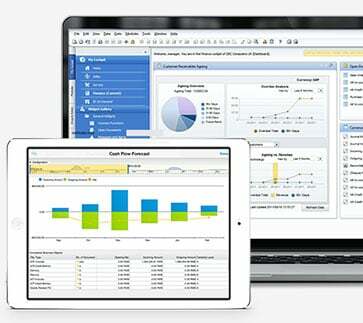 Go to the Main Menu and find, Business Partners – Business Partner Reports – Aging – Customer Receivables Aging. Once you have done this, you will be presented with selection criteria. Choose the criteria you wish, such as the customers you wish to appear on the report and the segments of the aging report. Choosing your customers will require you to select by customer group or business partner properties. You can also provide a range of customer numbers, or leave this blank for all customers. Next, select the aging date as this is the date the report uses to age the receivables. It automatically defaults to the current day, therefore if necessary to change dates, it must be indicated. Simply click the ok button after selecting all necessary criteria and run the report. There are options to view Accounts Receivable invoice detail, or to just show balances. 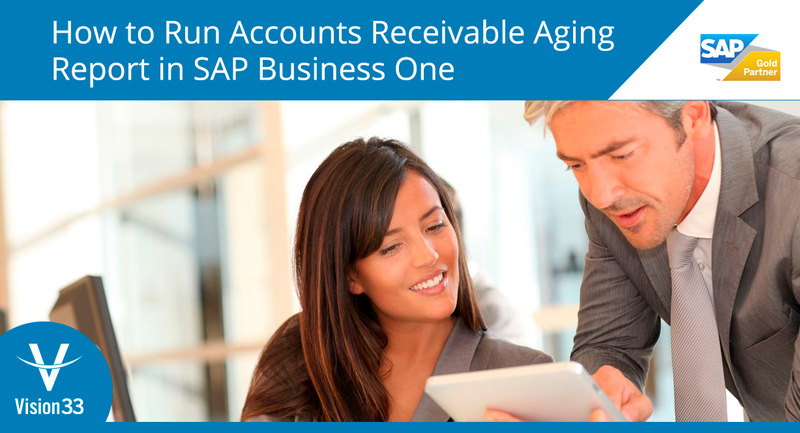 The SAP Business One Aging Report is a great tool to understand the finances of your business. It evaluates the credit quality of your customers and manages your cash flow.